A discreet and effective way of deterring all pest birds. Optical Fire Gel for pest bird control in Broadstairs. 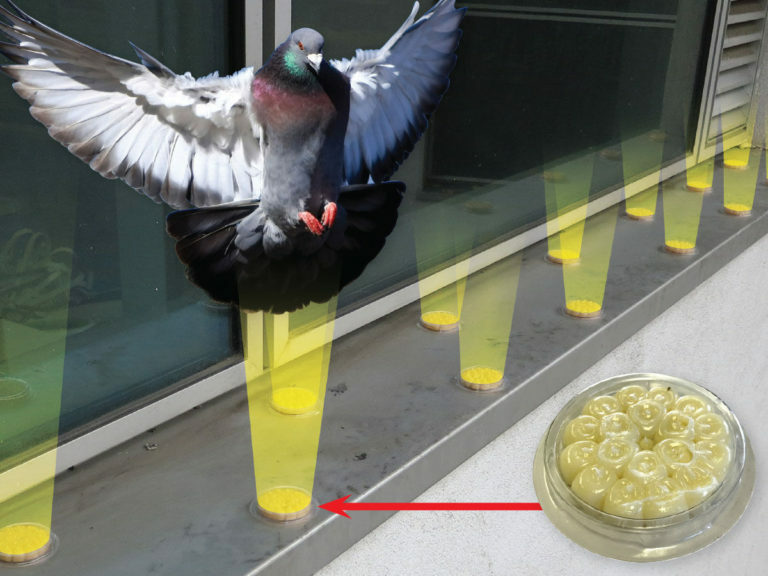 Standing at only 8mm high Optical Fire Gel is the ideal solution for customers who want a low profile approach to getting rid of pest pigeons. Optical Fire Gel can be installed anywhere (including difficult areas) where pigeons are causing a nuisance or nesting. The product itself is made from natural, food grade oils and works by giving off a visual signal that fire is present! Fire Gel is a great choice for hotels, historical, protected and listed buildings, restaurants, anywhere indoors or outdoors and is installed with a commercial strength adhesive. It will not degrade and works in all kinds of weather – even snow! The area will need to be thoroughly cleaned prior to installation. Get in touch with Broadstairs Bird Control Services today to find out how we can help get rid of pest pigeons from your premises. This multi-sensory bird repellent deters pigeons and gulls using sight, smell and touch. The gel creates a vision of fire or smoke which the birds will see, although there isn’t any. The product also smells of peppermint oil, which they hate. The gel is sticky so the birds do touch it. Once installed it is maintenance free, and would need to be changed approximately every 18 months to two years depending on the weather conditions during that time. Installing bird free optical fire gel repellent in Broadstairs.